Many of our patients come to us with questions about facial fillers. These popular injectables are one of the first procedures that come to mind for treating fine lines, wrinkles, and sagging skin. For patients looking to address these imperfections and other signs of aging, facial fillers are an easy and effective solution. If you’re interested in facial fillers, it’s likely that you have many of the same questions that our patients ask us. This includes questions about what fillers are, and what to expect during treatment. 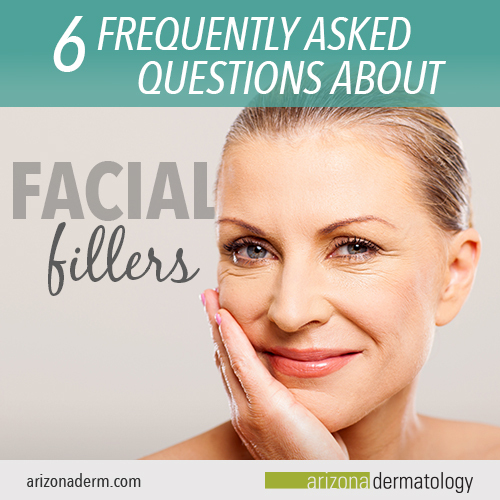 Here are the six questions we get most frequently regarding facial fillers at Arizona Dermatology. 1. What are facial fillers? How do they work? Facial fillers are injectables that can be used to reduce the appearance of wrinkles and other characteristics of aging skin, providing patients with a smoother and younger looking complexion. These quick and easy procedures have grown in popularity over the years. In fact, facial fillers ranked as the second most popular minimally-invasive cosmetic procedure in 2017, according to the American Society of Plastic Surgeons. Some fillers work by physically filling in facial tissue. A decrease in the volume of facial tissue occurs mainly due to the normal aging process. To address this phenomenon, fillers use ingredients like hyaluronic acid to plump up skin tissue. Hyaluronic acid is a natural component found in the body that’s able to enter skin cells and fill them with moisture, resulting in a more youthful appearance. Other fillers work by stimulating skin cells to produce more collagen. Collagen is a protein that accounts for 25 to 35 percent of all the protein in the body, and is mainly found in connective tissue, including the skin. Collagen production decreases with age, which contributes to the appearance of wrinkles, lines, and other signs of aging. By increasing collagen production, these characteristics become less noticeable. 2. Do facial fillers hurt? The idea of facial fillers can seem scary to many patients, due to a fear of pain resulting from the injections. Many fillers contain lidocaine, a mild anesthetic that helps minimize pain during and after treatment. However, some patients do report mild discomfort during treatment. This can depend on which areas are treated, and how much filler is used. 3. What can I expect when getting a facial filler? Facial fillers are safe and effective treatments. Here’s what you can expect when getting a facial filler, from the initial consultation to the days following treatment. Before treatment, you’ll have a consultation with your specialist. During this consultation, you’ll establish which areas of the face you’ll have treated, and how much filler will be injected. Your specialist will also ask questions about your medical history, to make sure you’re a good candidate for treatment, in addition to performing a facial analysis. Your specialist will then give you instructions on how to prepare for treatment, including what you should avoid. Bruising and swelling can be minimized by avoiding alcohol and NSAID medications for one to two weeks before treatment. Before the injection is administered, the area will be cleaned and prepped for the procedure. You may be given a topical anesthetic to numb the area. Then, a precise amount of filler will be injected beneath the skin. On average, patients receive one to two syringes of their chosen facial filler per visit. Your appointment can take anywhere from 15-60 minutes, depending on the area of the face that’s being treated. There’s generally no downtime after treatment and patients can return to their normal activities as soon as they leave the office. Many fillers, such as Juvederm, produce results that are visible almost immediately and can last anywhere from six months to two years. In the days following treatment, results will become even more noticeable as any swelling or redness subside. 4. Is Botox a facial filler? Many of our patients who are interested in facial fillers are interested in Botox as well. However, Botox isn’t actually a facial filler. Instead of filling lines and wrinkles, Botox works by gently immobilizing muscles in the face to prevent additional wrinkles from forming. Despite their differences, Botox can be used to enhance and prolong the effects of facial fillers. This is because fillers break down over time whenever the muscles surrounding the injected area are used. Since Botox acts as a muscle relaxer, the fillers are unable to it break down as quickly, which helps the skin remain wrinkle-free and youthful for a longer period of time. 5. Do facial fillers have side effects? 6. Is there more than one type of filler? What’s the difference? There are several facial fillers approved by the FDA for the treatment of lines, wrinkles, and other signs of aging. The main differences between facial fillers include the part of the face they’re designed to treat, how long results last, and what the main ingredients are. Juvederm is used to reverse the signs of aging by addressing the appearance of lines around the nose and mouth. Results are instant for moderate to severe facial folds and wrinkles. Juvederm is made of modified hyaluronic acid, which helps the skin retain moisture, softness, and volume. As patients age, fullness can decrease in the cheeks. As fullness decreases, the skin can appear to fall or sag. Voluma adds volume and lift to the cheeks, restoring a youthful appearance. With results lasting up to two years, Voluma is a great option if you’re looking for plump and youthful skin. One of the main ingredients in Voluma is hyaluronic acid. Along with collagen and elastin, hyaluronic acid helps Voluma to give long-lasting volume and support to the skin. Sculptra replaces lost volume in the face by reversing the signs of facial fat loss, or lipoatrophy. This loss of fat beneath the skin can result in indentations, sunken cheeks, and hollow areas around the eyes. The main ingredient in Sculptra is poly-L-lactic acid, a synthetic material that’s naturally absorbed by the body and helps to rebuild lost collagen. Unlike other fillers, the results of Sculptra are not immediate. Instead, Sculptra provides a gradual increase of skin thickness, helping to reduce the appearance of any sunken areas of the skin. Although the results of Sculptra aren’t immediate, they are long-lasting. In fact, a clinical study showed that patients had noticeable results for up to two years with just one treatment. For any questions or concerns regarding facial fillers, an appointment with one of our qualified specialists is the best next step to take. 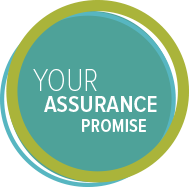 Whether you’re ready to get started with treatment, or are interested in exploring other cosmetic services, you’re sure to leave your appointment feeling satisfied with the information you received. Contact us today to get started.